The Notre Dame Band presents its annual Commencement Concert, featuring members from the concert band program. 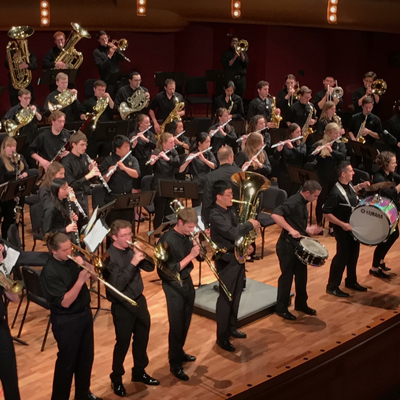 This performance will be the final time that senior band members will perform at the DeBartolo Performing Arts Center, and is a run-up to both Commencement weekend and the band’s annual tour. Selections on the program will include wind band classics, orchestral transcriptions, jazz tunes and some traditional Notre Dame favorites! Family friendly, all ages are welcome. Free but ticketed. Call 574-631-2800 or visit performingarts.nd.edu. Tickets will only be available for pick-up one hour prior to the performance. To guarantee your reservation please pick-up your Will Call tickets at least 15 minutes prior to the performance. In the event of a sell out, unclaimed Will Call tickets will be used to seat patrons waiting on standby.